Description: Compared with dogs, cats are generally uniform in size and therefore dietary requirements vary little. The growth rate and requirements of kittens and adult cats are very similar. There is one cat COMPLETE MIX formula for all ages.The formula is high in nutrient supplements to balance the small amounts used per meal. 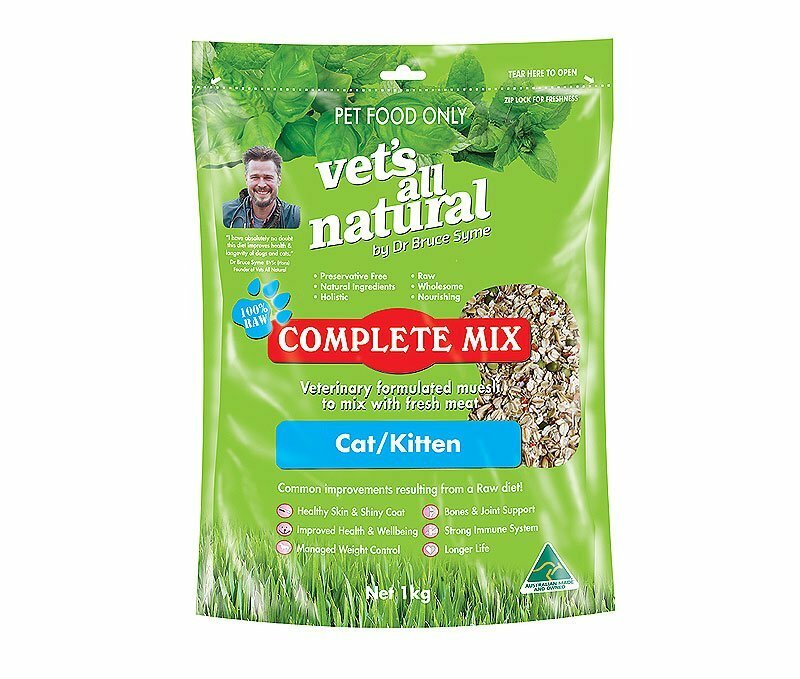 Ingredients: COMPLETE MIX contains a combination of mixed cereal grains (rolled oats, cracked barley, soybean meal, flaxseed meal, whole oats) dried vegetables and fruit, dried garlic, dried parsley, dried barley grass, calcium powder, yeast powder, kelp granules, lecithin granules and Vit C.